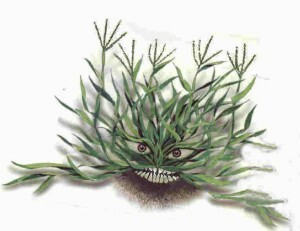 Crabgrass! The Cousin Eddie of Weeds. Crabgrass, we all hate it. It is the Cousin Eddie of weeds. If you have ever seen Christmas Vacation, you know how annoying Cousin Eddie is. He is that relative that shows up unannounced and sets up camp at your house without permission. He eats your food, parks his ugly RV in your driveway, brings along his brat kids, and won’t leave no matter how many hints you throw his way. 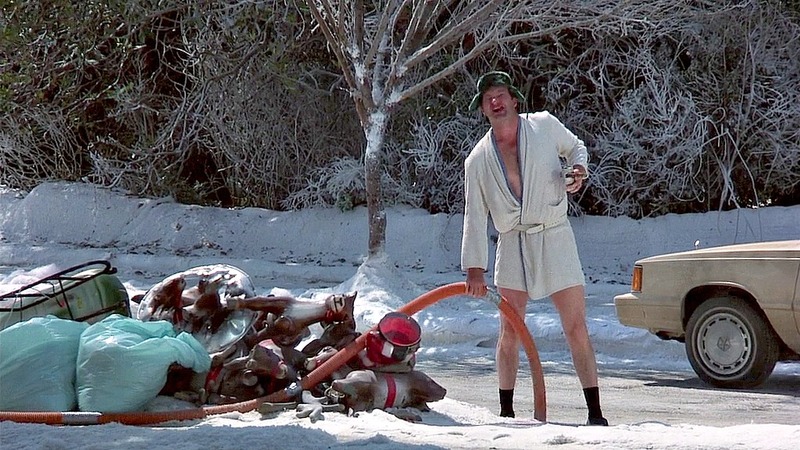 Yes, crabgrass is the Cousin Eddie of weeds. Under normal circumstances and normal years when the weather cooperates ClassicLawns can prevent crabgrass. The pre-emergents we apply with the first two spring applications normally keep crabgrass and it’s grassy weed cousins like foxtail, goose grass and barnyard grass out of your lawn. We must remind you that pre-emergents only help prevent grassy weeds from germinating. There are no products available anywhere that prevent broadleaf weeds like dandelions, clover, spurge, etc. from germinating. Broadleaf weeds can only be treated after they emerge. Learn more. Our crabgrass prevention process provides excellent control of grassy weeds. Unfortunately, the process is not perfect and occasionally we get some crabgrass breakthrough. So, now you are asking, “What Causes Crabgrass Breakthrough?” We are glad you asked, but before we answer that question let’s explain How Pre-Emergents Work. Crabgrass seeds germinate once soil temperatures reach 53 degrees for three consecutive days. A pre-emergent material must be applied in the spring before crabgrass germinates. Starting in the early spring, ClassicLawns applies two treatments of pre-emergent that are 6 weeks apart. The pre-emergent forms a barrier within the upper inch of the soil. We like to think of this barrier has an invisible blanket that lies on your lawn preventing seeds from growing. When a crabgrass seed or other grassy weed seed germinates and sends out a tap root it hits the barrier (our invisible blanket) and dies. This process under ideal circumstances gives us a whopping 95% control of crabgrass. That is a solid A in our grade book! However, it is not a perfect 100% A+. We will talk more on that elusive 5% later! WHAT CAUSES PRE-EMERGENTS TO FAIL? Heavy Spring Rains– Very wet conditions deplete the oxygen in the soil. This causes anaerobic bacteria in the soil to proliferate and prematurely breakdown the pre-emergent. Warm Soil Temperatures – Higher than normal soil temperatures stimulate microorganism activity which speeds up the pre-emergent breakdown. Cool Spring Soil Temperatures – On average pre-emergents last 90 days in the soil. Cool soil temperatures during the spring can delay the germination of crabgrass. When this happens our barrier blanket starts to breakdown before the peak of crabgrass germination. Poor Turf Density – Optimum crabgrass control occurs in dense, healthy turf that out competes weeds for space, moisture, nutrients, etc. Thin turf allows weeds to get a foothold. This is why we often see the first crabgrass breakthroughs in high traffic areas or “hot spots’ along driveways, sidewalks and curbs. Heat buildup in these areas can also break down the blanket barrier. Excessive Thatch – Thatch is NOT caused by leaving your lawn clippings. Thatch is a layer of living and decomposing roots and stems. Some thatch is good. It acts like mulch helping to protect the lawns roots and holding in moisture. However, when thatch gets excessive it starts acting like a sponge. So, everything you apply to the top of your lawn like water, fertilizer, pre-emergents, etc. gets trapped in the thatch and does not reach the root zone. The best and really only way to minimize thatch is with a heavy core aeration. This is one of the reasons why ClassicLawns always recommends core aerating your lawn yearly! Delayed Germination Flushes – Environmental conditions such as drought or cool soil temperatures can delay the seed germination beyond the residual of the herbicide. This results in mid/late season crabgrass emergence. 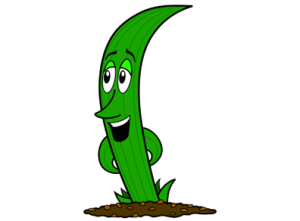 Weed Pressure – One crabgrass plant is capable of producing more than 1000 seeds. Remember that we said pre-emergents get an A grade of 95% control. So even with 95% control of 1000 crabgrass seeds, that will still leave 50 seeds to germinate. If you have had a lot of crabgrass or other grassy weeds in your lawn before hiring ClassicLawns. It could take a few years to reduce your weed pressure. Or, if you neighbor is not treating for crabgrass or you live close to an empty lot, you will have more weed pressure as well. Barrier Blanket Breaks – Any factor which breaks our blanket barrier in the soil will allow crabgrass seeds to emerge. Some examples of a blanket barrier breaks are construction, drought cracks, animal activity, and any digging in the lawn. 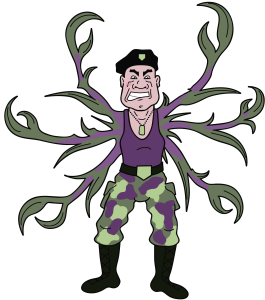 The Enemy of Classic Lawns and Grassman, Col. Crabgrass! So, Classic Lawns can do everything right by applying the best pre-emergents at the right time and the right amount. OK great! Then we just rattled off a long list of all the things that can go wrong and crabgrass still comes up. It can be a frustrating battle to keep the Cousin Eddie of weeds away. Water Properly – Lawns need at least 1” of water per week to survive, more to thrive. If you do not give your lawn enough water it will thin out or even die. This allows more room for weeds to grow. Don’t over water though. Too much water breaks down the blanket barrier and allows weeds to thrive. Plus, over watering can cause disease issues. Core Aerate- We highly recommend core aerating your lawn every year to minimize thatch and promote healthy roots. It is one of the best “extras” you can do for your lawn! Fertilize – ClassicLawns applies the right amount of fertilizer at the right time to feed your lawn and keep it thick and healthy. Pest Control – Reduce pests like insects and disease that can thin out lawn allowing more room for weeds to grow! Once crabgrass comes up, it is very difficult to control. The simplest way to explain why crabgrass is so hard to kill is that it is a cousin to fescue. It is like trying to develop a potion that both you and your cousin can drink, but the potion only kills your cousin. The lawn industry has some products that try to do this trick, but honestly they all fall short. They either kill both the crabgrass and the good grass in the lawn or they only make the crabgrass sick and do not completely kill it. Some of the new products we use to control crabgrass once it is up do a better job than what we used to have, but once crabgrass is mature even these new products are not very effective. That is the bad news. The good news is that crabgrass and its’ grassy weed cousins are annuals. They go from seed, to plant, to death all in one season. Crabgrass will die off with the first frost! Before it dies it will begin to fade and be less prominent with cooler night time temperatures. Plus, the good grasses in your lawn will start to recover and fill back in with cooler temperatures and fall rains. After the crabgrass dies off, your lawn will continue to fill in and be pretty again throughout the fall season. Especially if you over seed in the early fall! Then next year maybe we will have better weather and less crabgrass. As always, contact us here at ClassicLawns if you have any questions or if the Cousin Eddie of weeds shows up at your place! Read more Cary’s Corners here!